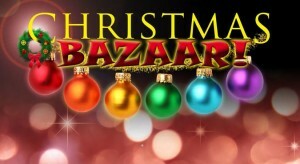 The annual Grand Christmas Bazaar will be held at the village hall on Saturday, November 19th, where residents can gather gifts and stock up on stocking fillers including home-baked cakes. There will be a variety of stalls run by local clubs and crafters and local charity branches, which villagers can browse from 1pm for an entry price of 50p. The Village Hall Entertainment Committee will be selling refreshments during the afternoon and a raffle will offer prizes.